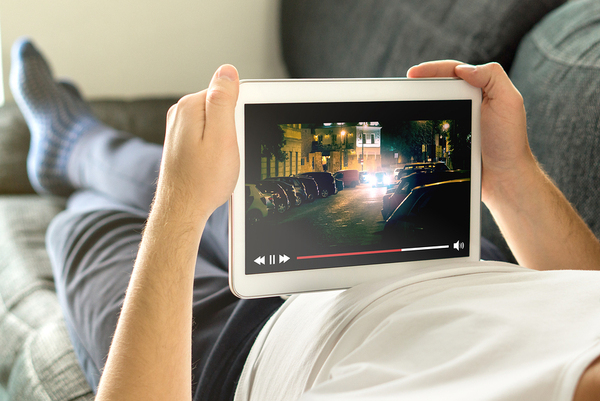 YouTube and the Future of On-Demand Content What Will Private Equity Do With ‘Dry Powder’? Will Emergency Alerts Be Carried on Streaming Services? Emergency alerts, long a staple of television and radio broadcasts and more recently on mobile phones, may be coming to streaming services. That’s the aim of a bill recently filed in the U.S. Senate. The bipartisan legislation was introduced in the wake of the January 2018 scare that sent out a false emergency alert to Hawaii residents and guests warning of an impending missile attack. The alert caused panic, in no small part due to the increasing tensions with North Korea about that country’s nuclear weapons program development, until it was corrected 30 minutes later. Technology news reports questioned why the false alarm was generated and why it took so long to correct. Will emergency alerts be carried on streaming services like Netflix and Spotify? That’s the aim of the Reliable Emergency Alert Distribution Improvement (READI) Act of 2018, introduced in July by U.S. Sens. Brian Schatz (D-Hawaii) and John Thune (R-S.D.). The legislation would require online streaming audio and video services to carry the same types of alerts that are now commonplace over other airwaves. If passed, the act would establish a commission to assess the feasibility of adding streaming alerts to the public notification mix. In addition, the legislation would track and evaluate false alerts and determine ways states could improve their emergency alert plans. Require alerts issued by the president or the Federal Emergency Management Agency (FEMA) to be repeated. At present, alerts on television or radio stations may only be played once. Prompt states to review and update their emergency alert system plans, which the sponsors allege are often out of date. Require FEMA to develop best practices that local governments can use when issuing alerts, avoiding false alarms, retracting false alarms. Plans would be developed for local officials to notify other local and federal officials during an emergency. New legislation would interrupt Netflix, Hulu, Spotify and other streaming services with critical alerts. To date, the streaming services have been quiet on the proposed legislation or the potential impact on business strategy. The impact, say legislators, is through expanded alerts that would reach more people and save more lives. “When a missile alert went out across Hawaii in January, some people never got the message on their phones, while others missed it on their TVs and radios. Even though it was a false alarm, the missile alert exposed real flaws in the way people receive emergency alerts,” said Schatz, the senior Democrat on the Senate Subcommittee on Communications, Technology, Innovation, and the Internet. The legislation follows another bipartisan bill introduced by Schatz and others after the January 13 Hawaii incident. The Authenticating Local Emergencies and Real Threats (ALERT) Act would give the federal government the sole authority for alerting the public of missile threats, forbidding state and local governments from doing so. Emergency broadcasts have been a part of the American broadcast landscape since the Cold War. Television and radio broadcasters and cable television systems are required to broadcast emergency alerts, weather issues, and AMBER Alerts (for missing children) which are targeted to devices in a given area. These alerts can be generated by the federal government, state, local, and multijurisdictional areas. Expansion of the emergency system will now wend its way through the Congressional hearing and approval process before being considered for a vote.